Professionals who require greater sensitivity for administering medical care or instrument manipulation find fully textured Emerald powder-free latex exam gloves a perfect fit. Powder-free to help reduce the risk of skin irritation, these gloves feature tapered fingertips for greater comfort and advanced processing for easier donning. 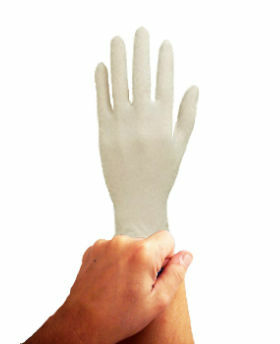 Emerald Powder-Free Latex Exam Gloves have beaded, tear-resistant cuffs for added performance. Packaging: 100 gloves per dispenser box.